One of the spiritual needs that people have is the desire for moral guidance. Organized religions have been the source of such guidance for centuries. Today, a question is, can modern science provide it also? The debate is in full swing. 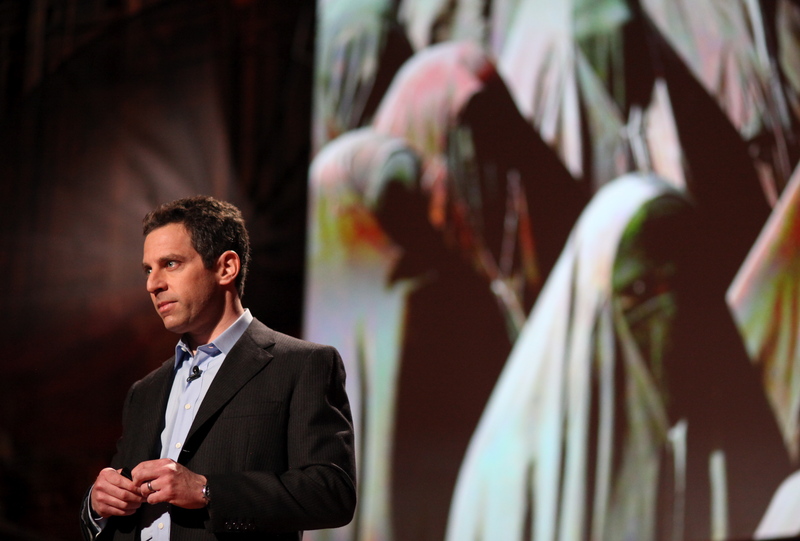 Author and neuroscientist Sam Harris argues in this TED talk that through science, we have factual knowledge about the wellbeing of conscious creatures, and those facts are the basis for moral values. We can reach valid generalizations about such moral values, while acknowledging that exceptions will exist. We know, for example, that most people do not thrive under certain conditions, such as living under the Taliban. We can conclude on the basis of factual information that the Taliban’s dictates are morally wrong. Unfortunately, Harris argues, we are reluctant to make such judgments of another culture. Cultural relativism rears its head: “The Taliban have their own ways of seeing and doing things, we can’t impose our beliefs on them.” For Harris, such restraint is misguided; “cultures can care about the wrong things,” he says. Cosmologist Sean Carroll argues that the exact nature of morality as well as how to maximize the wellbeing that people derive from it are not within the realm of empirical study. People simply have different views of what constitutes wellbeing; a libertarian might want to increase wellbeing by increasing personal freedom, a utilitarian might prefer an increase in some other measure of happiness. We can’t set up experiments to settle such issues. And if we can’t settle an issue with experiments, says Carroll, the issue is not within the realm of science. We can use science, especially neuroscience, to help refine our moral judgments, but we cannot found morality on science. I prefer Harris’s position over Carroll’s not because I think the issue has been settled but largely out of optimism that the description of the world that science provides can have a positive moral influence despite plenty of questions. For me the key issue, though, is a little broader and more tentative than the topic that Harris and Carroll are debating. Harris’s talk is titled: Science can answer moral questions. I would frame the issue this way: in what ways can the scientific description of the world provide moral guidance? Science, I’m looking for some moral principals that will help me in life, some guidance that can help me frame moral goals and guidelines that I can believe in. I’m not looking necessarily for universal or absolute statements, for science’s versions of the Ten Commandments–although I do have to admit that I’m impressed by the Commandments and the Golden Rule and the like that have all that authority behind them and are seamlessly woven into the narrative of sacred events. I just don’t buy the sacredness or the biblical deity, unfortunately, so that’s that. But I want to live a good and generous life, and to be forgiving and patient, and I know that doing so will be difficult plenty of the time. For the most part, I trust and believe in what you tell me about the world even though I know your description is always a work in progress. So I’m hoping you can give me some information that I can turn to when I feel discouraged or confused that will remind me that positive values are a reality and a force among living things. That right and wrong have a basis of some kind in nature and are not just cultural artefacts, that helping others has some sort of evolution. I’m not asking that all this be oversimplified or overstated, just that you show me whatever evidence you have currently and what moral directions they might be pointing to. So, Science, I know all this sounds like a strange request, but what have you got for me? Science will try to respond in my next post. This entry was posted in Morality and tagged judgments. Bookmark the permalink.